A more vibrant and energetic version of the original. Housed in metallic blue. 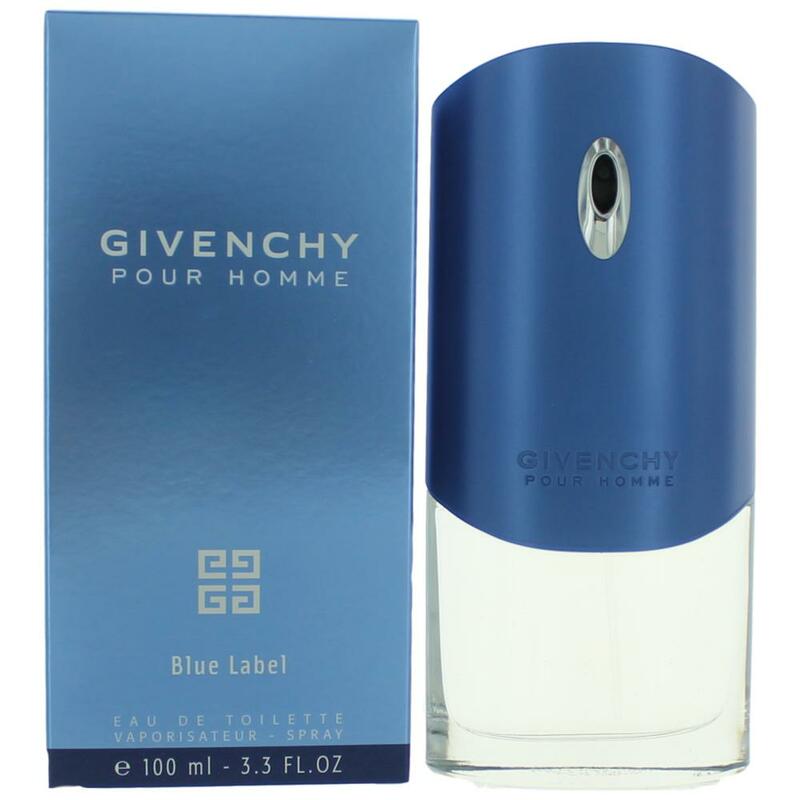 There are 54 reviews of Givenchy pour Homme Blue Label. A easy going fragrance for summer, peppery and aquatic. The "fresh aqueous olibanum's touch" is the key presence of the olfactory appointment. A nice choice for the lovers of genre. First off have to say it totally gives me the impression of ADG. I reckon most who catch a whiff of this on you will assume it's ADG. Definitely something for aquatic fresh fans, whether or not it's worth a bottle if you've already got ADG or Aqua Marine is one for you to follow up! Very wearable, easy, inoffensive and summery. I don't really get much of the notes in isolation, testament to quality blend I guess, and can't break away from similarity to ADG. Citrus, slight floral, fresh Woody and aqua type. I like cardamom, and it's all well done together. Erring on lower part of thumbs up, but it is a good quality, dancing the fine line of mass appeal aqua 'yums' so averts a negative score. Definitely a solid frag, though my judgment has likely been clouded by a pathological dislike of ADG type aqua crowd pleasers. ADG has unfortunately gotten a lot of baggage that is hard to shake off. My heart says yes, mind mind says no! Strongly Recommended for summer loving aqua breeze admirers. Don't get the spiciness others perceive, this would really lift it! Although pepper is noted I really don't get any. Definitely carried by smooth almost creamy cardamom. I feel this gives it a subtle sophistication that sets it above others in this genre. Good longevity, not a projection bomb, but politely let's you know it's there. Nice little cloud. Warming to it as I lie here in a sweltering (!) UK night! Givenchy Pour Homme Blue Label used to be my signature scent when it was released more than 10 years ago. I remember it was a classic woody fragrance, with a tinge of aquatic and floral notes. Originally, I was captured by the astonishing blue bottle, but when I smelled the juice inside I knew I would have liked it. It opens a little citrus-like but it is more refined, with fresh mildly sour and fruity notes coming through and a hint of spicy ones too. The spicy and sweet bergamot and the authentic bitter grapefruit hit hard in the top notes blend well with the hedione, which adds that particular floral jasmine-magnolia smell. After the opening it melds pepper and cardamon, giving it a little more depth that otherwise would not be there. Not too much floral, despite the amazing lavender presence, but the wood and pepper definitely give it a dry feel. Then when it dries down, it has a woody watery vibe going on, which reminds me of Acqua di Gio. I am not saying it is a clone of it, but they belong to the same class and have the same vibe. I do not find this to be spicy at all though, just like Chanel Allure Sport even though they are considered spicy. The resinous olibanum dominates the smoky vetiver, however, mixed with the cedar they all give a profound woody pleasure. Longevity and projection are way below average. Though, what this fragrance lacks in, it makes up for in scent and quality. Give this fragrance a try if you're into aquatics because it's a bit different than any generic summer fragrance. It is crisp, positive, light, clean, it has some depth, and it is quite uplifting. To me, the red version is good for more professional atmospheres in cooler weather, rather the blues is good for more sporty casual events in warmer weather. Recommended for the spring or summer, it’s a daytime scent perfect to wear in the office as well as on leisure or sports time. Best worn in the summer , gets a lot of compliments , in my opinion one of the better summer scents out there. Better for the younger crowd . 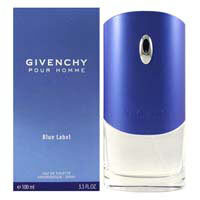 Givenchy Blue Label looks very generic sitting in the many fragrance kiosks that I have seen. But it is such a smooth, pleasantly citrus scent which energizes me. It is a toned-down scent in the likes of Echo, another very pleasant citrus scent. I prefer it to the slightly confusing Givenchy pour Homme Red Label, which I can't quite connect with. To me, initially I thought it was just another boring citrus scent, but after an hour or so, it becomes delicious. Unfortunately, this happens just as it begins to fade. I wish it was stronger, but I will buy it again as I love the spicy grapefruit aroma, however fleeting. Quality smell, and of good value, as long as you don't pay full price. There are no member images of Givenchy pour Homme Blue Label yet. Why not be the first? 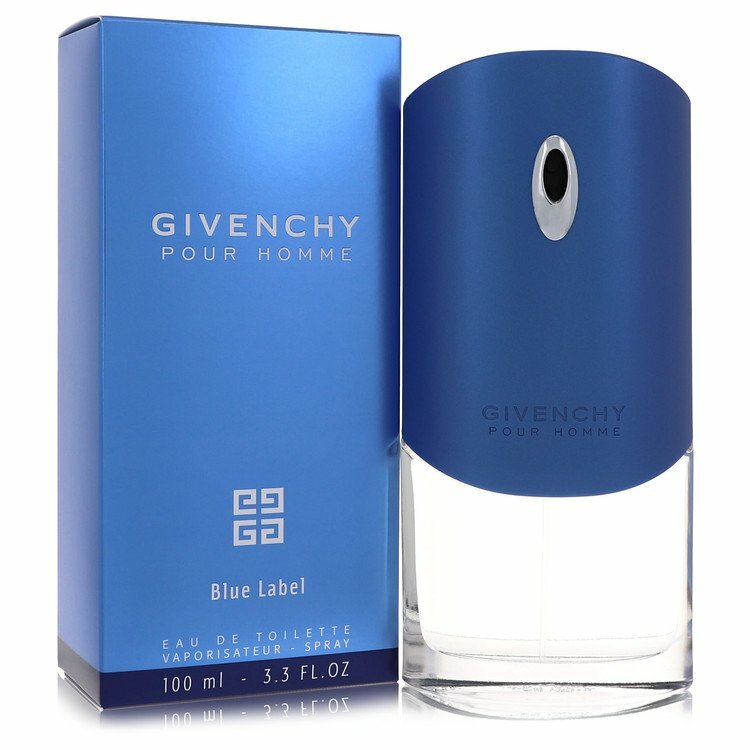 Is this Givenchy Pour Homme Blue Label the real deal?